Roti babi from Kedai Makanan Yut Kee in Jalan Dang Wangi. Roti babi literally means pig bread. It is actually bread with pork filling. I am not sure if it is Nyonya or Hainanese in origin because Nyonya recipe books have it too but the ingredients have a strong Hainanese influence. Whatever its origins, I love it nonetheless. Mum used to make roti babi once in a blue moon. 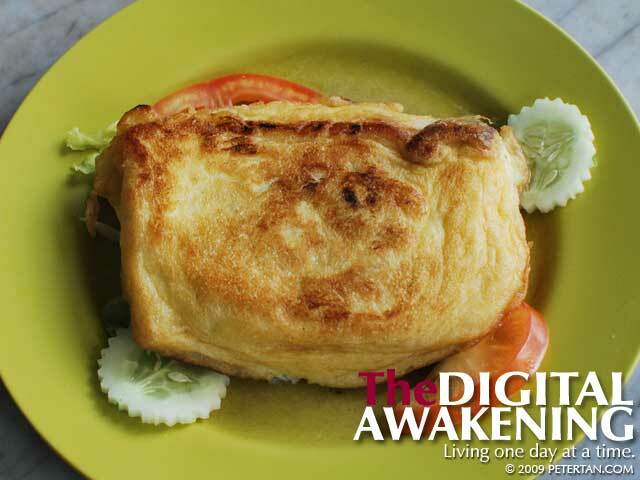 It is difficult to find roti babi that tastes like the ones she used to make. I do not have the exact recipe but I did watch when she made it. It was a lot of work. That was why she did not make it often. 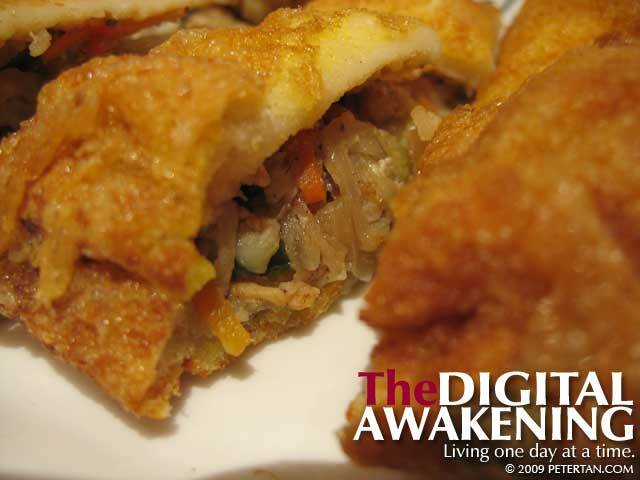 The main ingredient for the stuffing is minced pork and crab meat. The crabs are steamed and the meat removed from the shell. Cabbage, carrots, onions and coriander are coarsely chopped. All these are then mixed together with thick soy sauce, light soy sauce and pepper. Finely chopped garlic is stir fried in the kuali with cooking oil until fragrant. The mixture is then added in and stir fried until the meat is cooked. She would usually have bought several loaves of unsliced bread from the bakery. One loaf makes four thick slices. A slit is made on one side of the crust and the mixture carefully stuffed inside. 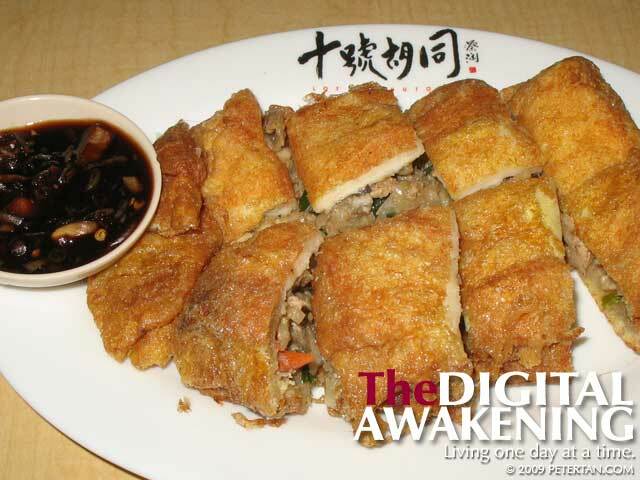 The bread is then coated with beaten eggs and deep fried until golden brown. The dipping sauce is usually Lea and Perrins Worcestershire Sauce with cut red chillies. As a kid, I used to dislike roti babi because it was greasy, cabbage was not one of my favourite vegetables, and the taste of Worcestershire sauce made me nauseous. Over the years, I acquired a liking for French toasts which is what roti babi partially is. Now, I am hankering for roti babi although I cannot have too much of it. My low-protein diet only allows at most half a portion. Roti babi from Georgetown Penang at Lot 10 Hu Tong. Here in Kuala Lumpur, I only know of two places that serves roti babi. Kedai Makanan Yut Kee at Jalan Dang Wangi is as authentic as Hainanese kopitiams can be. They serve roti babi and pork chop, among others. Yut Kee’s roti babi filling is small bits of sliced pork and looked rather pale for the lack of thick soy sauce. It exuded a familiar aroma but the taste was somewhat different from what I have come to like. The other is at the newly opened food court called Hu Tong at lower ground level of Lot 10. Wuan took me there specifically because the food court serves non-halal food. There is even a Klang bak kut teh stall. Wuan wanted to order that but they were already sold out by 6.00 pm. The stall that serves roti babi, aptly named Georgetown Penang, also sells a variety of popular Penang hawker food such as laksa, Hokkien mee and char koay teow. The roti babi filling had hints of thick soy sauce but there was no aroma of deep fried eggs. Perhaps, I will have better luck hunting for the style of roti babi that Mum used to make in Penang. 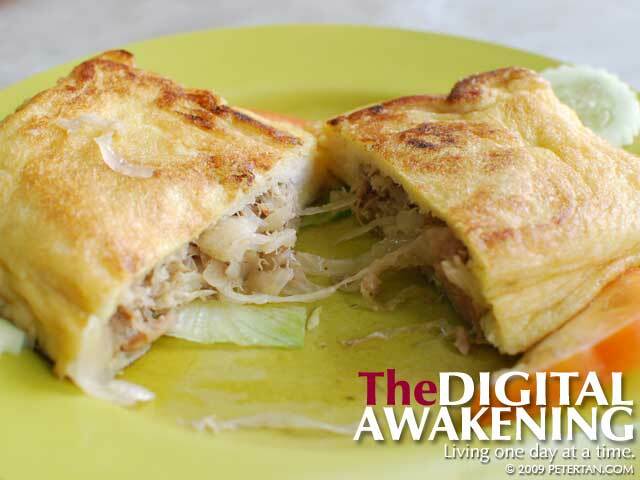 I know Hai Onn Hainanese Restaurant in Burmah Road has roti babi in their menu. I remember Dad used to take me there for their choon peah (spring rolls). I believe the same cook is no longer there. Reallybites posted about the roti babi she had at Hai Onn last year. The cook needs to improve on her cooking skills to make the food more presentatable. The photo that Reallybites took looked unpalatable. If you, my dear readers, know of any place that serves a decent piece of roti babi, please do share with me here. My good neighbour Mr. Tan in Penang offered to make roti babi when I next go back but I reckon that it will be too much work for just a few slices. 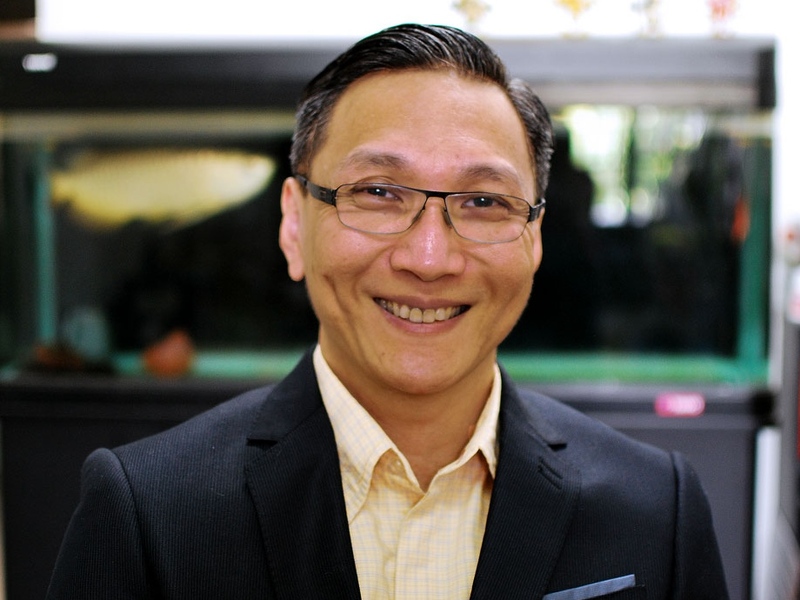 Mind you, he makes a mean serving of roti babi, perut ikan and other popular Peranakan dishes. In the mean time, my quest for roti babi just like how Mum used to make continues. I have never had roti babi. I am about your age. However, I left Malaysia when I was 18. I try to visit Malaysia once every few years but never had a chance to try it. I will make an effort to try it on my next trip.